Accurate, reliable and easy to use, the MA-1 picks up where Korg's ever popular MA-30 left off. The new beat counting display is informative and intuitive. The tempo can be set in pendulum steps, whole steps, or via Tap Tempo to accommodate the student and professional. An excellent practice aid, the MA-1 offers nine beats and eight patterns, including complex tuplets. The headphone output provides privacy. The MA-1 doubles as a tuning aid, creating a full octave of reference pitches for any instrument. This is a great little tool, packed of features for a silly price, and L&M often discount it too! 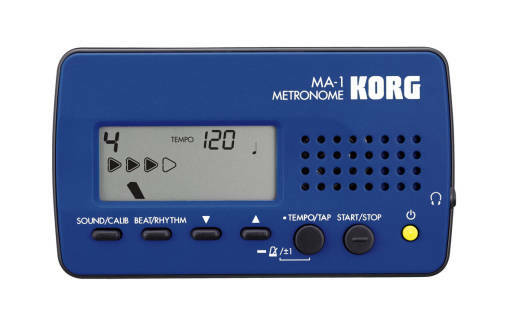 I had Korg Micrometro, which is nice and cute, but quiet. Compared to it, MA-1 is really loud, have volume control and headphones output, so the sound is really not an issue. I am a novice harmonica player and drummer, so this think really helps! Works great. Gives you a few different options that are handy and I haven't had an issue with it in any way. Nice little Metroniome. Mine is now about 56 or 7 years old I think. I own a number of metronomes, but this particular one is the most convenient. I can take it with me wherever I go. Most importantly for me (and for you, fellow musician, I would think) is that I am not looking for a flat surface for an expensive metronome. I have had no problems with the on/off switch nor any other components of the device. Changing batteries for it is easy. Really, considering its long life (I have had this model for years), this metronome has amazed me. 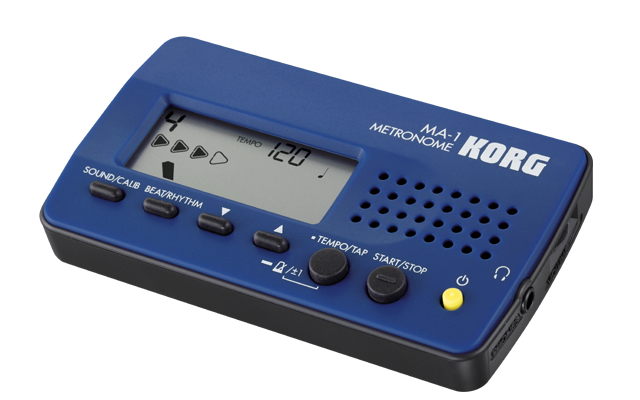 In its own way, this convenient-to-place-anywhere metronome made me want to play with a metronome much more than traditional ones ever had. And those reasons are why I have finally written a review for the product. I would never have had this much perspective were I to have had written this review a week or a month or a year after purchasing a Korg metronome. I have owned two of these. The on-off switch is tricky to use, and then after a month or so, they stop working altogether.